Is Peter Florrick returning to TV? 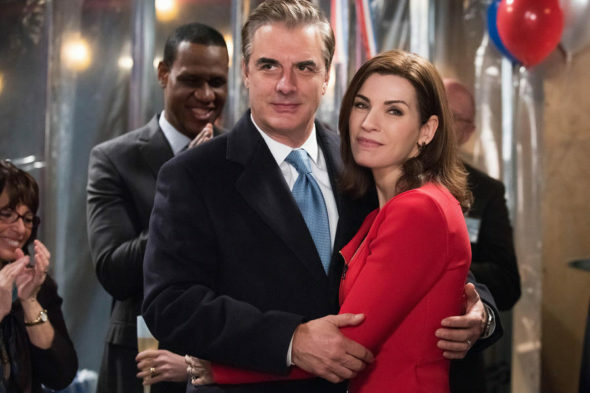 Entertainment Weekly reports Good Wife star Chris Noth is open to joining the upcoming CBS spin-off series. The still-untitled spin-off will feature Diane Lockhart (Christine Baranski) and Lucca Quinn (Cush Jumbo) and “center around an enormous financial scam that has destroyed the reputation of a young lawyer while simultaneously wiping out her mentor Diane Lockhart’s savings.” Rose Leslie and Delroy Lindo also star. The Good Wife spin-off is slated to debut on CBS All Access in February. What do you think? Are you a fan of The Good Wife? Will you watch the spin-off?